Laser Gum Treatment Specialist - Torrance, CA: Eugene Y. Yang, DDS: General & Cosmetic Dentist: Eugene Y. Yang, DDS, INC.
As a dentist who continually strives to improve his skills and upgrade his practice with the latest techniques and approaches in advanced dental care, Dr. Eugene Y. Yang now offers patients a variety of dental laser services, including laser whitening, laser gum surgery, and laser therapy for minor TMJ-related pain. At Eugene Y. Yang, DDS, INC., his welcoming practice in Torrance, California, Dr. Yang treats patients from the greater South Bay area. If you’d like to know more about how dental laser treatments can benefit you, call or book your appointment online today. Like other types of surgical and therapeutic lasers used in medicine, dental lasers use light energy to restore, manage, and improve the soft tissues of your mouth, including your teeth and gums. Lasers are an effective, noninvasive tool that can target a problem quickly and with precision. 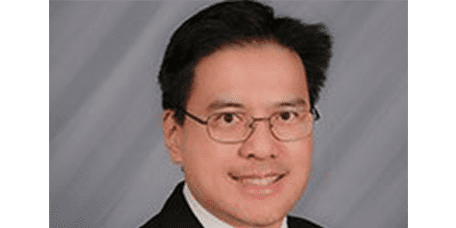 Dr. Yang has been a member of the Academy of Laser Dentistry since 2016, and is certified to use the 940-nanometer diode dental lasers and CO2 dental lasers. How can laser therapy treat TMJ pain? TMJ disorders are caused by either damage to the cartilage that cushions the joint, or by damage to the shock-absorbing disc that sits between the joint and the bone. Chronic grinding or clenching of teeth can lead to TMJ, as can a traumatic injury. Using a special handpiece, Dr. Yang can send therapeutic laser energy into the deep tissues of your jaw, addressing mild or moderate TMJ-related pain at its source. Laser gum surgery is a state-of-the-art treatment for gum disease, or an infection of the tissues and bones that support your teeth and hold them in place. Laser gum surgery helps reduce inflammation by removing bacteria from root surfaces. Because the laser also promotes tissue regeneration, healing is often faster than it is following traditional gum disease treatments. Laser teeth whitening is one of the fastest, most effective ways to get whiter, brighter teeth. Dr. Yang uses the EPIC™ diode laser for in-office laser whitening treatments. This advanced technology can make your teeth an average of four to six shades brighter in just 20-30 minutes of treatment time, which is faster than other leading in-office teeth whitening treatments.